Every day we go to work, complete tasks, attend meetings, answer the phone and then go home where we wait to start the entire day again when we wake up – somewhat disheartening. Most of us have never stopped to think about the company we work for and how it got to this point. We are different at TOA; we admire our corporate history and how it has shaped our business and the way we do things. Starting as a small shop in Kobe Japan in 1934; manufacturing microphones and amplifiers, the focus was always on quality and reliable products and less about getting cheap products to market; not the usual philosophy in today’s business environment. TOA founders believed deeply that treating customers with respect by offering great products would lead to better sales and growth. They also understood that their employees were key in creating a culture of success so it was important to value them and form a happy work place. For this reason, TOA has always developed innovative products and assembled them in a way that made the end result a durable, reliable and cost effective product. 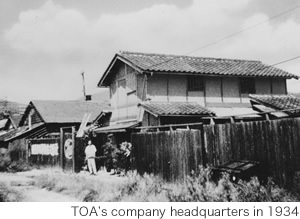 The culture established in Japan followed TOA as it expanded into other countries. In the 1970’s they opened their first office in North America in San Francisco. They entered the Canadian market in the early 80’s with a distribution office in Edmonton Alberta; Canadians were finally able to purchase the excellent products manufacturer by TOA. One of the first hires was the legendary Barry Taylor who eventually became the Branch Manager in Edmonton. Barry helped tremendously with the growth of TOA so much so that a second office opened in Mississauga in the late 80’s. Then in 1990, TOA Canada Corporation was incorporated and also moved to their new office on Kennedy road in Mississauga. For 30 years, TOA Canada has grown its business steadily by hiring proficient employees, providing outstanding technical support, and focusing on their customer’s needs. We know that our products can stand up to any competitor’s product in performance and dependability. Therefore, TOA Canada continuously strives to offer valued added services such as direct technical support, system design, a wide range of products and Canadian stocking warehouse. 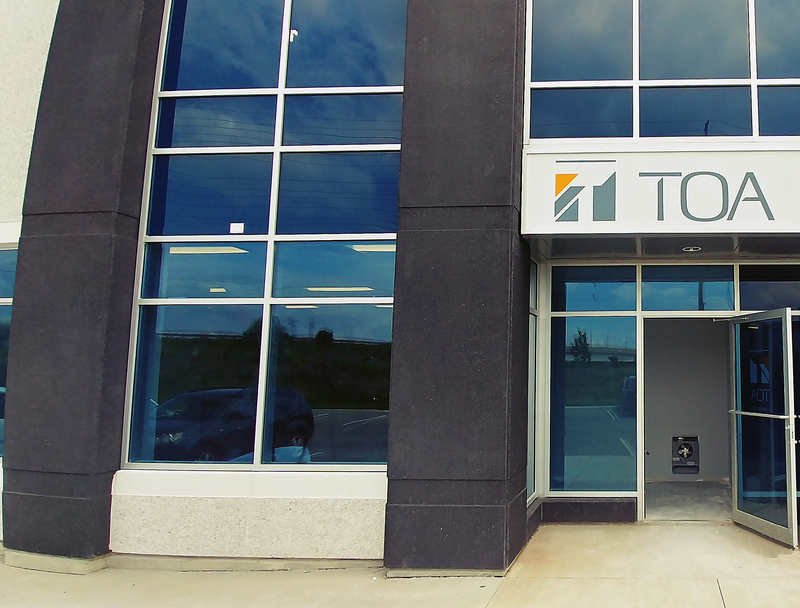 Our recent relocation to a larger facility with an outstanding showroom is another way that TOA Canada makes decision that our customers will benefit from. TOA Canada has been able to gain the admiration of our customers and remains a destination for audio and security products around the world.